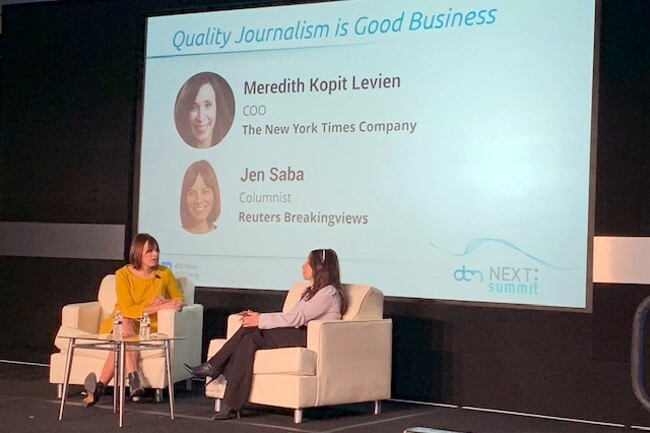 In 2019, top media challenges include consolidation, regulation, and “fighting the pervasive mentality that all content needs to be free and the ever-spawning attacks on the independent press, even from the U.S. administration,” according to Jason Kint, CEO of Digital Content Next (DCN). The event’s speakers represented a breadth of media organizations from legacy print and television organizations to digital pure-plays, upstarts, agencies, and industry watchers. This year’s Summit speakers did have one thing in common though: They were all women. During his opening remarks, Kint referenced a prediction he made last year of an intensification of a global policy war for big tech with its early stages continuing to emerge in 2019 as Facebook and Google face global scrutiny regarding transparency and accountability. While GDPR has set the global tone for privacy protection, and California’s privacy bill may set a foundation for the U.S., it remains to be seen how the issue will be taken up on a U.S. national level, noted well-known industry insider Kara Swisher, co-founder and editor at large of Recode. Regulation is far from the only pressing issue on media businesses today. In fact, the past year has seen governments at home and abroad exert extreme pressure on journalists and the media as a whole. 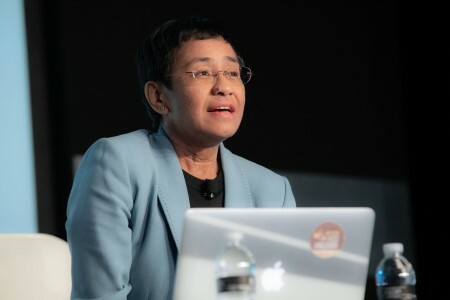 In addressing global efforts to suppress journalism, Maria Ressa, CEO of Rappler and 2018 Time Person of the Year, called herself the “canary in the coal mine” as she recounted her story of answering a subpoena to appear before the Philippines National Bureau of Investigation on charges of tax evasion and failure to file tax returns. A vocal critic of Philippine President Rodrigo Duterte, Ressa illustrated the impact of social media disinformation campaigns. She showed attendees a timeline of manufactured information social media attacks with global tentacles corresponding to her political coverage. She also described a meeting with Facebook CEO Mark Zuckerberg during which she implored him to understand the company’s global impact and how experiences such as hers demonstrate the need for platforms to take more responsibility for the role they play in disinformation and attacks on journalists. In response to attacks from the U.S. administration, The New York Times continues its focus on “good journalism.” The company is emphasizing transparency in its processes by showing consumers the great lengths to which reporters go to put together a story before publication through its TV marketing campaign, noted Meredith Kopit Levien, COO of The New York Times Company. While attacks on journalism and emerging regulations have set the stage for 2019, brands also are placing a high priority on how to sustain their mission of building trust with consumers through offering high-quality content, connecting with audiences and monetizing the effort. On the heels of a seven percent increase in 2018 third quarter earnings for digital and print, Levien pointed out that there is a long-held belief at The New York Times that a “subscription business first is the key to a great and scaled ad business” with marketers re-awakening to the value of context as the world comes to grips with privacy concerns. In addition to continuing to produce its high-quality news content, she pointed out that The New York Times also is responding to consumer lifestyle habits by expanding its popular crosswords into a games business. It is also offering subscriptions for specialized offerings in the cooking and parenting spaces. Additionally, two million listeners tune in each day to The Daily, which has become the nation’s most downloaded podcast. Podcasting plays an increasing role at NPR, says Anya Grundmann, the company’s senior vice president Programming and Audience Development. Its Fresh Air ranks fourth on the most downloaded podcasts and its flagship Planet Money podcast is also among the top 20. Interestingly, some NPR podcasts start as radio shows while some radio shows have grown from podcasts so the legacy and digital ecosystems feed one another. Grundmann says that NPR also is committed to becoming a leader in audio this year in the voice search smart speaker environment, Grundmann said. The company has three revenue streams: a trust reserved for economic downturns and advertising revenue. But rather than deriving revenue from subscriptions, the Guardian has been successful using the reader voluntary contribution business model. The company also crowdfunds initiatives to support special reporting. Organizations like NPR, The New York Times, and The Guardian are known for serving audiences at a national and even international scale. However, local remains a point of concern for many in the media business. To beef up local news, Marian Pittman, Executive Vice President of Digital Strategy and Research of Cox Media Group, says that the company seeks to innovate on its TV side with its “garage projects.” The initiative draws together the diverse skills of engineers, marketers, and reporters to produce and test prototypes in an effort to appeal to consumers through different platforms. In support of local journalism, CEO Pam Wasserstein said New York Media plans to launch The City in early 2019, a not-for-profit initiative providing New York City news and investigative journalism in addition to its portfolio of premium digital brands. Identifying underserved consumers is a business strategy Morgan DeBaun, CEO and co-founder of Blavity used when she left her Silicon Valley career to start a media company with her own money. Blavity targets black millennials, which DeBaun identified as an underserved demographic in the media ecosystem. The company is now backed by investors who share Blavity’s value system. While more people are consuming media digitally, there is a simultaneous desire among consumers to connect as part of a community. That’s where events play a key role in establishing direct relationships with consumers. 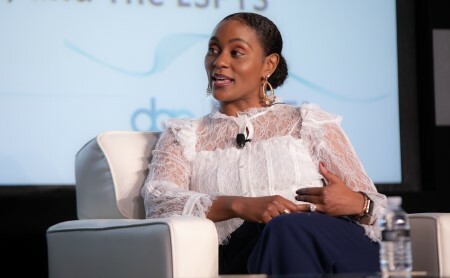 At the Summit, speakers from Blavity, The New York Times, CondeNast, Recode, and Combs Enterprises all cited events as a significant way to connect with consumers while deriving healthy revenue streams. In 2019, marketers will be focusing on trust, data security and management and attention to disruption, noted Millard. Marketers are concerned about safety, security and the environment in which they’re marketing. Millard cautioned attendees not to “write off Amazon.” She noted that the rise of Amazon as a force in the ad industry represents the importance of search – including voice search. In particular, she pointed out that Amazon has access to an “extraordinary data trove” with the ability to push its brands first based on its insight into consumer behavior and scale. Increasingly, that impact is become more driven by values. Adrienne Lofton, incoming Nike marketing executive and former Under Armour CMO, said that while at Under Armour, she created a set of values that included loving the athletes. Her emphasis was on equality, fighting the good fight together, creating fearlessly, always connecting, telling stories, thinking ‘beyond’, and celebrating the wins.